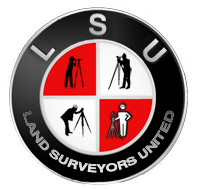 TOPOGRAPHIC SURVEYS in Texas The purpose of a TOPOGRAPHIC SURVEY is to gather survey data about the natural and man-made features of the land, as well as its elevations. From this information a three- dimensional map may be prepared. The topographic map is prepared in the office after collecting the field data or it may be prepared right away in the field by plane table. The work usually consists of the following: 1. Establishing horizontal and vertical control that will serve as the framework of the survey 2. Determining enough horizontal location and elevation (usually called side shots) of ground points to provide enough data for plotting contours when the map is prepared 3. Locating natural and man-made features that may be required by the purpose of the survey 4. Computing distances, angles, and elevations 5. Drawing the topographic map. Topographic surveys are commonly identified with horizontal and/or vertical control of third- and lower-order accuracies. ROUTE SURVEYS The term route survey refers to surveys necessary for the location and construction of lines of transportation or communication that continue across country for some distance, such as highways, railroads, open-conduit systems, pipelines, and power lines. Generally, the pre- liminary survey for this work takes the form of a topographic survey. In the final stage, the work may consist of the following: 1. Locating the center line, usually marked by stakes at 100-ft intervals called stations 2. Determining elevations along and across the center line for plotting profile and cross sections 3. Plotting the profile and cross sections and fixing the grades 4. Computing the volumes of earthwork and preparing a mass diagram 5. Staking out the extremities for cuts and fills 6. Determining drainage areas to be used in the design of ditches and culverts 7. Laying out structures, such as bridges and culverts 8. Locating right-of-way boundaries, as well as staking out fence lines, if necessary. A control survey network, with horizontal and vertical positions on primary control points that are monumented, referenced, and placed near or on the project site. Points of secondary control, which are based upon and supplement primary control to facilitate data acquisition within a project. A description and location sketch of each control point. Data acquisition sufficient to generate an accurate DTM for the purpose of generating contours. While a topographic map (2 dimensional) may be the typical end product of a topographic survey, for general purposes a processed computer file for a DTM (3 dimensional) is the primary deliverable product. Even when hard copy maps are specified as a part of the deliverable, electronic graphics files (2D and/or 3D) for the final product can be furnished for each project. The effect of location, such as rural, suburban, urban, or urban business district, on conditions of a DTM or topographic survey will be minor and will be most dependent upon the purpose of the survey. The need for appropriate control and tolerances will be the deciding factor when the purpose of the survey is for roadway or ROW design in determining reasonably accurate quantities of construction materials, such as water, spoil, fill, concrete, etc. DTM or topographic surveys require a reliable horizontal and vertical control system based on acceptably closed and adjusted traverses and level loops. Attention is required be given toward developing this control system before any detail work is begun. Field work shall be performed to achieve the specified or intended accuracy and results as stated in the manual, in accordance with accepted technical methods, i.e. : TSPS Manual of Practice, and as directed by the manufacturer of the surveying instrument(s) or equipment used.